If you have been following me at my other (parenting) blog, you would know the reason for my absence here. I took a break from blogging after our twins came into our lives. Though I kept (sporadically) updating my parenting blog, I didn’t get time to concentrate here. Going forward, I’m hoping keep this space updated as well. 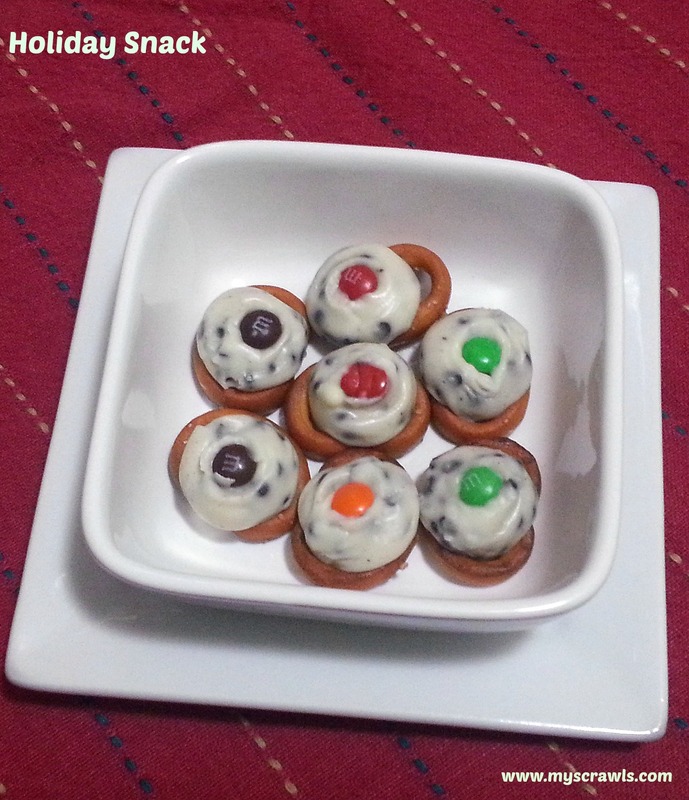 Here is the snack that my elder son prepared for the holidays. He is six years old and loves to help me in the kitchen. One of my colleagues brought a box full of this yummy snack for the holiday party and we all loved it. So, I tried the same at our home and it became a huge hit! Line the pretzels on a baking tray. Keep Hershey’s kisses over each pretzel. Bake in the oven for few mins until the kisses melt and become slightly gooey. Remove from oven and top it with M&Ms. 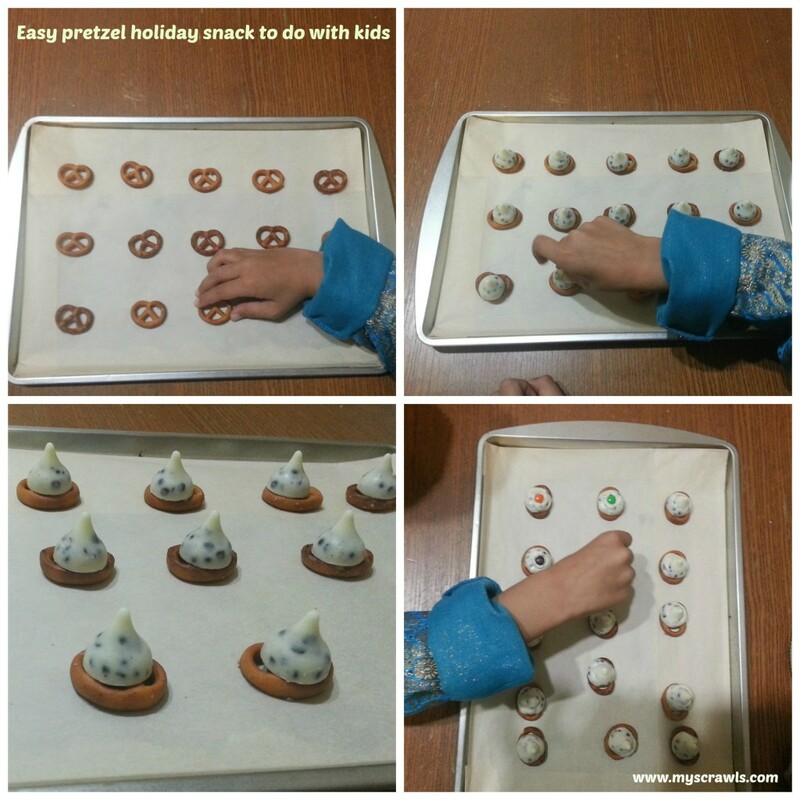 If you are making this snack with your kids, then make sure that kids don’t touch the chocolate right from oven. It would be hot and chances are that they might burn their fingers. Gently press the m&ms into the chocolate. Allow it to cool and enjoy! Our Trip to Mackinac Island, Michigan! Things to in Madison, Wisconsin! My Paper Quilling Artwork ! reproduce and /or modify the contents without my express written approval.